Premium quality at affordable price. Relax in the cozy surroundings of our city. 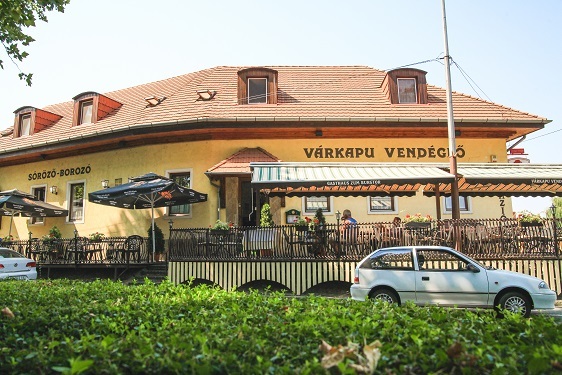 We would like to welcome you to our town, to Sárvár and to the Restaurant Várkapu. A number of famous people, aristocrats, historians, poets, scientists, politicians have lived in our historic town during the last centuries. This warm hospitality continues today in our restaurant and we express it mainly with our local specialities and with our noble wine. 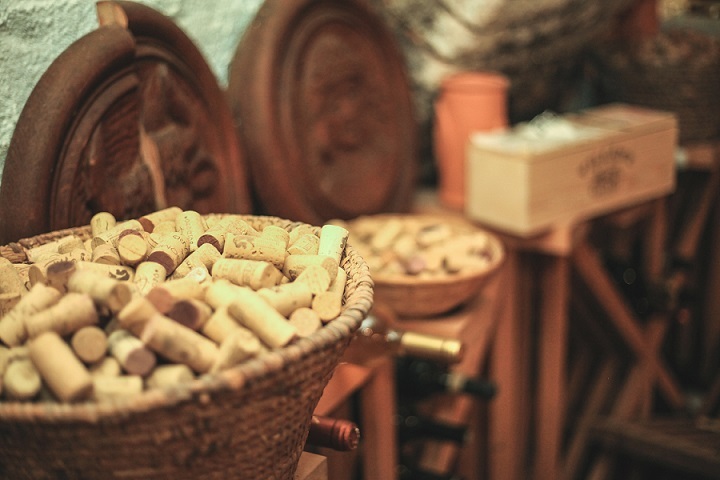 1999 was the year of Hungarian wine and gastronomy. This event gave us the idea to revive our traditional Hungarian cookery. 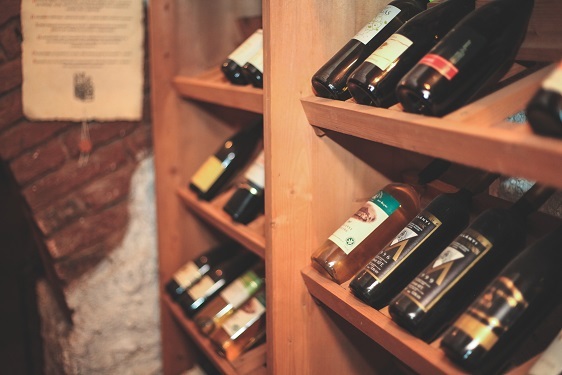 We hope that your meal with your chosen excellent wine which complement each other will help you make your stay in Sárvár and your visit to our restaurant unforgettable. 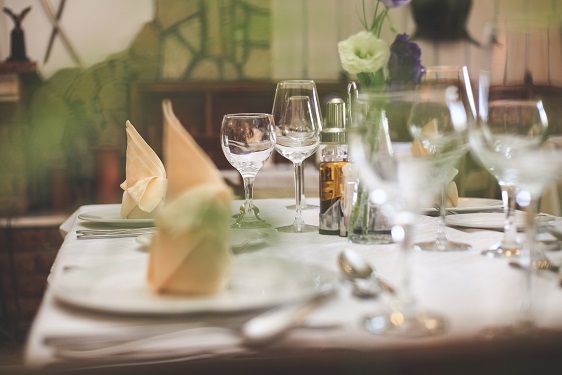 Best dishes and fantastic surroundings. The most romantic place of the city! Éttermünk alatt található egy, az 1800 évek végén épült borpince, melyet pár évvel ezelőtt renováltuk, ahol szeretettel várjuk a borbarátokat. Magyarország 22 borvidékéről kóstolhatnak kiválóbbnál kiválóbb borokat. Rendszerint borvacsorákat szervezünk, ahová meghívunk egy-egy neves borászt és az általa kínált nedűkhöz illő étkeket komponálunk. Next to our restaurant there are free parking places available. For our guests staying in the guesthouse we offer closed parking lots. 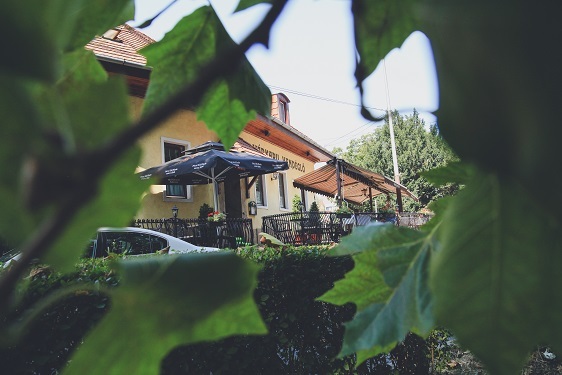 Our guesthouse and restaurant can be found in the heart of the city, next to a park sorrounded by a castle,in a silent environment. 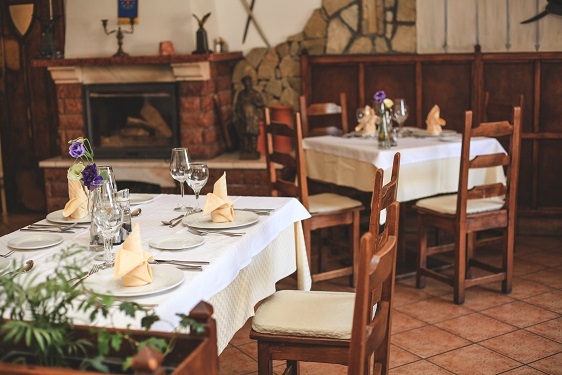 Our restaurant and guesthouse offers highest quality for our guests. 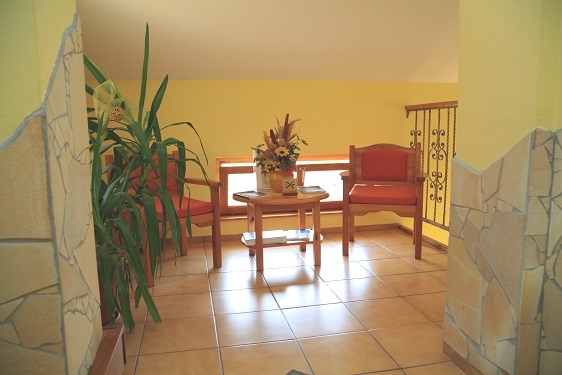 * We would like to welcome you to stay and relax in the most beautiful part of town. 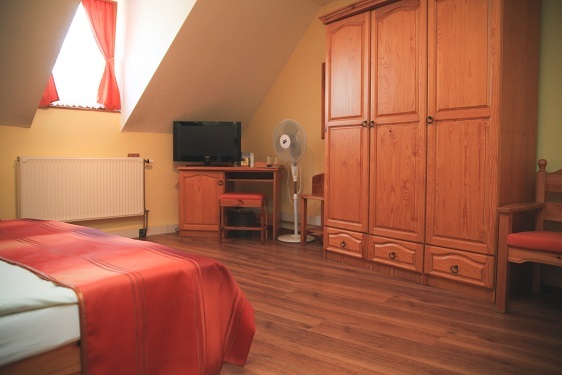 Our pension with family atmosphere is in the town centre still in a quiet, peaceful, green environment, next to a large park. 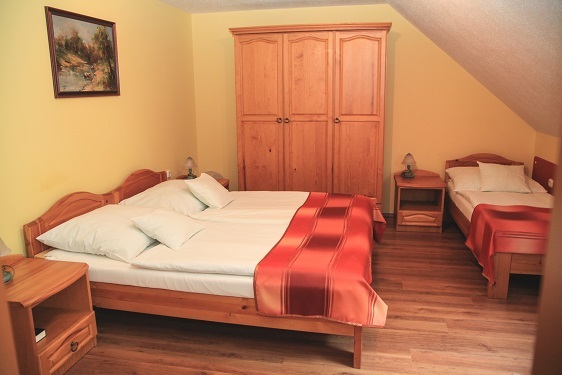 There are nine -2,3,4 bed-rooms all equipped with a bathroom, a TV set and a telephone. You can use our car park in the yard. There is a sauna available. Our guests can take part in grill parties during the summer! 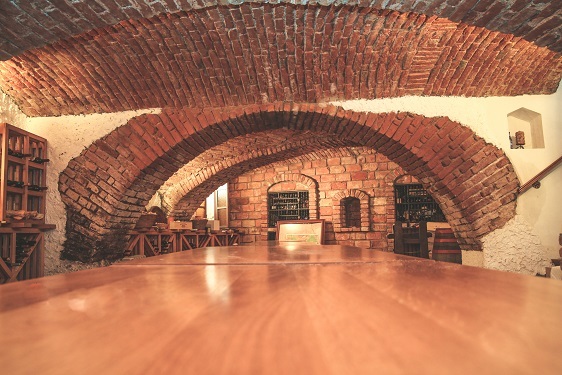 Under our restaurant you can find a wine cellar built at the end of the 19th century and renovated couple of years ago.Wine lovers are welcome to taste various wines from 22 wine regions.We regularly host wine dinners to which we invite oenologists whose wines are served with dishes specifically prepared for the wines. 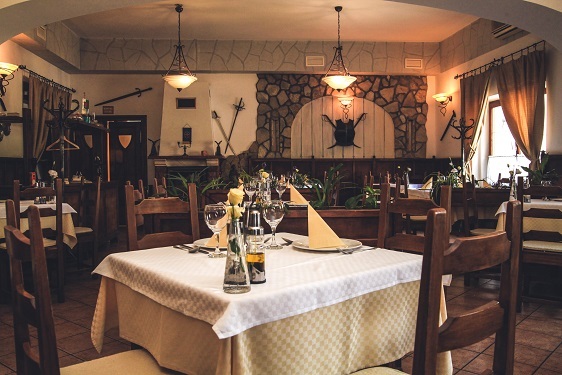 The professional staff of the Várkapu Restaurant accepts receptions and organizing programmes for 50-500 people. Bookings of firms, groups of friends and collectives are also welcome! We have good references in and out of town. Our photos will convince you to try one of our services! Get to know our city! 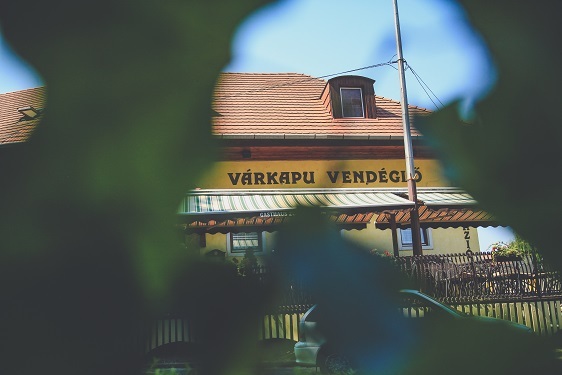 Sárvár is the second biggest town of County Vas, taking on its history of centuries proudly. The location of the town is determined by the trade road leading over River Rába and it also functioned as protector or rivers. Being close to border forced the town to act like a security guard. Due to the town's mental open-mindedness, it is a settlement accepting and enriching European traditions. Sárvár was a royal estate in the age of the Árpáds. In 1192, it was mentioned with the name 'Sárvár', though it appears as 'Sziget', 'Szár-Sziget' or 'Újsziget' ('Reanesos') - that is 'New Island' - in older documents. In 1424, Family Kanizsai succeeded in taking over the possession of the town castle from Pipo of Ozora. After that, due to his marriage, the upcoming Family Nádasdy laid hands on the castle. In the 16th century, Tamás Nádasdy raised Sárvár to be a town of great significance. Here lived the 'Hungarian Luther', called Mátyás Dévai Bíró, the printer Benedek Abádi, the Hungarian translator of the Bible, called János Sylvester. János Sylvester published Grammatica Hungarolatina here in Sárvár, which is a Hungarian grammar written in Latin. His main work was the New Testament in Hungarian in 1541, the first printed book in Hungary. His measured lines of verse herald the triumph of the Hungarian language. The translation of the New Testament became famous. The distichon of the thought with clear rhythm in the dedication part of the book, which was addressed to the Hungarian people 'Próféták által szólt néked az Isten? '('A long time ago God called you by prophets ?') is an eloquent testimony , which proves that there had not been written anything alike in Hungarian until the end of the 18th century. Sebestyén Tinódi, wandering lutenist, the most eminent Hungarian ministrel of the 16th century found shelter in the town and died here. Not only our inn, but our secondary school is named after him. Creator of historic tale-telling, who primarily told tales about the battles against the Turkish going on in his own era. Gáspár Kőrös from Szeged, prominent doctor and expert of medical herbs worked as the medical for Orsolya Kanizsai in the castle. Preacher István Beythe and his son, botanist András Beythe also lived in Sárvár. Smaller settlements on the outskirts of the town had become closer to the town centre from the second half of the 19th century. The streets of the town were built closed. The still existing town centre was constructed by building family Geschrey. In years 1883 and 1884, Géza Gárdonyi, one of the most eminent representatives of the Hungarian narrative prose was teaching in Sárvár. The initial development of the town started back in the 19th century, but modern development only began following the change of regime in 1990. There has been large new industrial investment by foreign firms, which has significantly reduced unemployment, while the local council has initiated the modernisation of the town's infrastructure. Another important new development is the utilization of thermal water, as result of which Sárvár has become a spa town. Due to an initiative of the town council, a new health and fitness centre was opened in December 2002. The centre is open all year, and visitors can enjoy a range of therapeutic and recreational services. There are indoor pools, adventure pools, special pools for children, and in summer a large open-air pool is open. 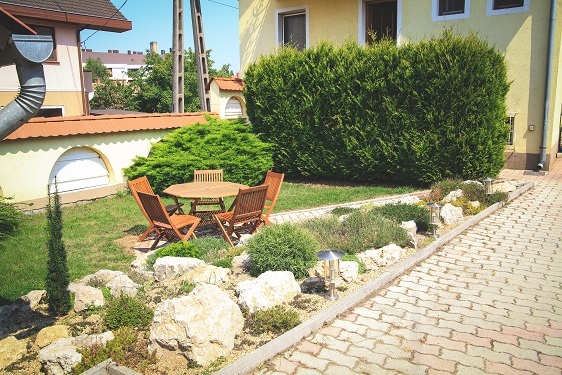 In the swimming pool, in the Castle Nádasdy, and in other establishments of the town, visitors to Sárvár can find a wide variety of programmes to enjoy. © 2015 Weborient, all rights reserved.